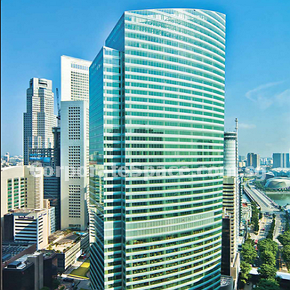 A landmark office building in Singapore’s CBD, Ocean Financial Centre is a 43-storey premium Grade A office development comprising an office tower with a carpark and retail podium, linked by an underground air-conditioned pedestrian link to the Raffles Place MRT interchange station, One Raffles Quay and Marina Bay Financial Centre. Ocean Financial Centre provides tenants with expansive views of Singapore’s CBD skyline including the Marina Bay area, and is in close proximity to the Marina Bay Sands integrated resort, One Fullerton and The Esplanade – Theatres on the Bay, among other lifestyle amenities in the downtown area. With it’s architectural and building excellence, Ocean Financial Centre have been named the World’s Best Commercial High-rise Development at the International Property Awards, a globally-recognised mark of excellence, in London on 7 December 2012. 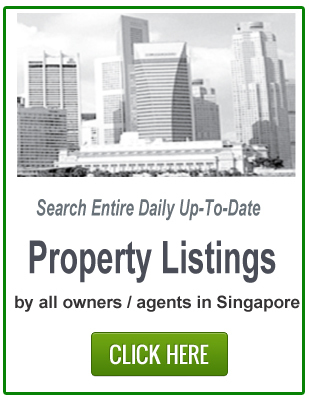 It also received awards for Best Office Architecture, Best Office Development and Best Commercial High-rise Development in Singapore, as well as Best Commercial High-rise Development at the Asia Pacific Property Awards in April 2012. OFC was the first commercial building in the CBD to be awarded the BCA Green Mark Platinum award in 2008. It was also conferred Platinum LEED award and Water Efficient Building Award. 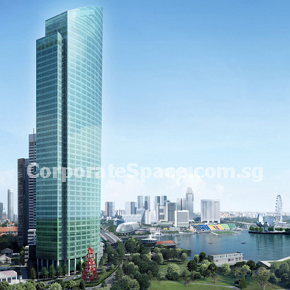 Ocean Financial Centre is close to Raffles Place MRT (EW14/NS26), Marina MRT (NS27/CE2) and Bayfront MRT (CE1). It is near to several bus stops located Robinson Road, Opp AIA Towers – 03031, Collyer Quay – Clifford Pier – 03019, Raffles Quay, Opp Lau Pa Sat – 03059 and Cecil Street, Prudential Towers – 03021).